Later, in 1961, God gave Rev. Tommy Hicks a vision of the continuation of that revival: a worldwide movement in which the 'Awakening Giant' - the body of Christ - receives spiritual power and authority on such a scale as has not been seen since the book of Acts. This book retells these two amazing prophecies in their entirety and also discusses their implications for the world today. The revival of God's church continues, but it won't be complete until every Spirit-filled believer understands his or her unique role in its fulfillment. Study these prophecies and ask God to reveal how He would use you to bring the greatest revival in history to completion. The Smith Wigglesworth Prophecy And The Greatest Revival Of All Time Paperback Book by Wigglesworth, Smith was published by Whitaker House in January 2013 and is our 10269th best seller. 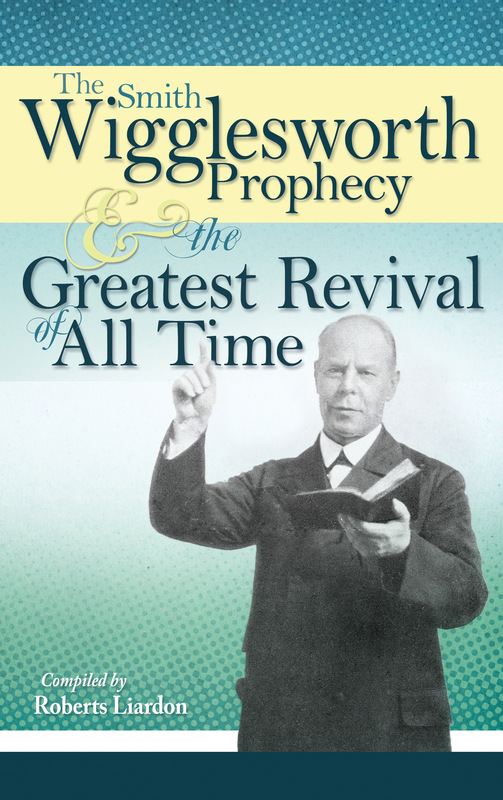 The ISBN for The Smith Wigglesworth Prophecy And The Greatest Revival Of All Time Paperback Book is 9781603741835. Be the first to review The Smith Wigglesworth Prophecy And The Greatest Revival Of All Time Paperback Book! Got a question? No problem! Just click here to ask us about The Smith Wigglesworth Prophecy And The Greatest Revival Of All Time Paperback Book.